One of the first things people notice during an encounter is your eyes. Doctor Lucy Lee believes that getting a complete eye exam is one of the most important things you can do — both for your vision and your overall health. Your eyes can reveal the early signs of many disorders, including high blood pressure, diabetes, glaucoma, and cataracts — as well as common vision difficulties such as near or farsightedness and astigmatism. Good vision care involves many detailed tests using some of the most advanced medical equipment available today. Doctor Lucy routinely utilizes sophisticated and high-tech equipment to identify the essential information that assesses your eye-care needs. Our office is your best source for complete eye care and contact lenses. 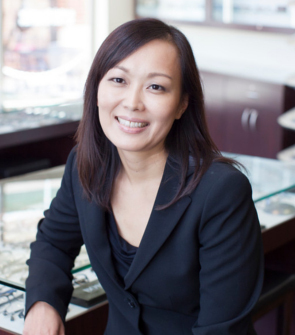 Doctor Lucy Lee is a graduate of New York University and received her Doctorate in optometry at SUNY College of Optometry in New York City. After serving clinics at the VA Medical Center in Northport, Long Island and Patterson Army Clinic in Fort Monmouth, NJ, she moved to Northern Virginia to join her husband, Doctor Leonardo Lee. Doctor Lucy practices in all phases of primary eye care, including bifocal and rigid gas-permeable contact lenses, as well as diagnosing and managing eye disease. 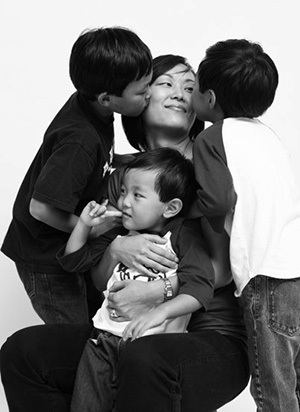 In her spare time, Doctor Lucy loves spending time with her three sons: Lucas, Logan, and Landon. Outside the office, she keeps busy driving her sons to extracurricular activities. Fun fact about you: I used to collect comic books. Give your patients some “free” health advice: Wear sunscreen and sunglasses! The sun can be very damaging.